• Chill your favorite beverage without watering it down. • These cubes have superior thermal properties and won’t scratch your glass. • Set includes 4 stones. • Epoxy Dome not included in 24hr service. Epoxy Dome will require 3-day production. Two 8 oz. whiskey glasses and two sets of 9 laser etched 3/4" whiskey stones in canvas bags in a 8" X 8" X 3.25" wooden gift box with brown crinkle paper. 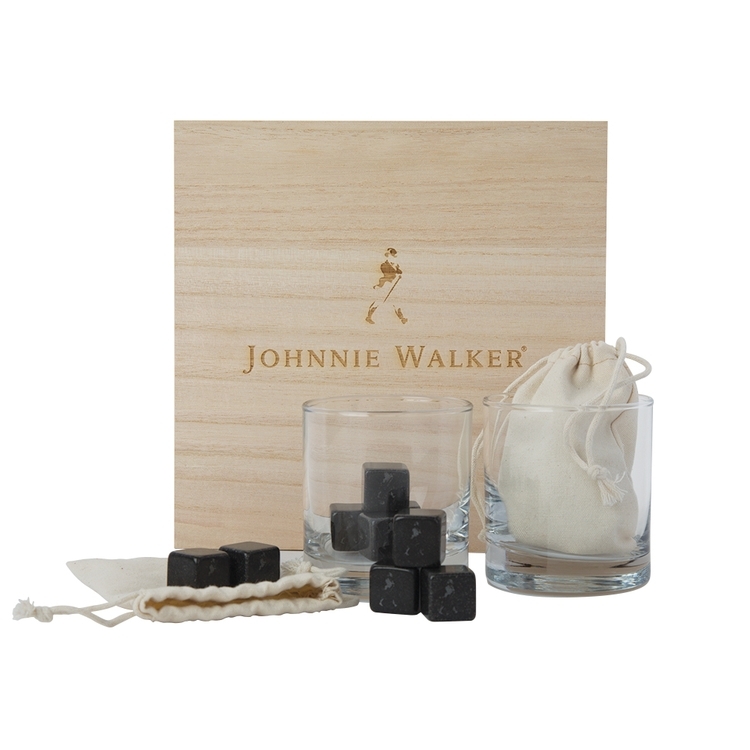 The elegant MOCCASIN set has 9 laser etched whiskey stones that are placed within a simple muslin bag. 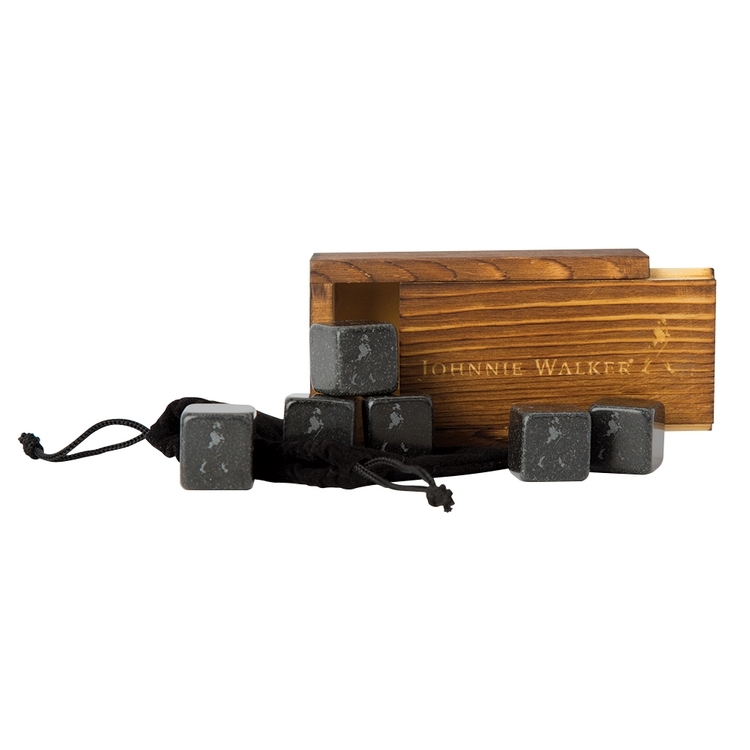 The luxurious MAMBA whiskey stones set contains an engraved wooden box with six whiskey stones that are placed nicely in a velvet bag. 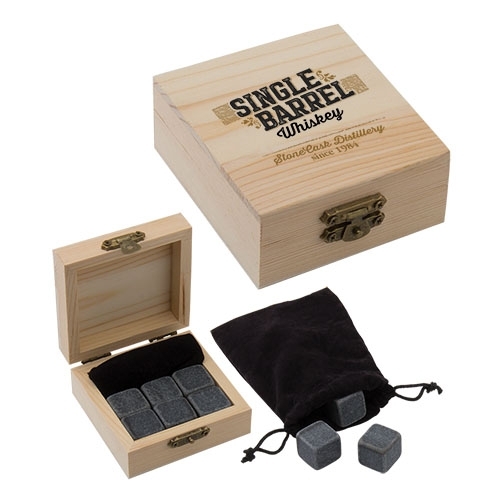 Each set includes 6 natural basalt stones and a velvet drawstring pouch housed in a natural pine gift box. 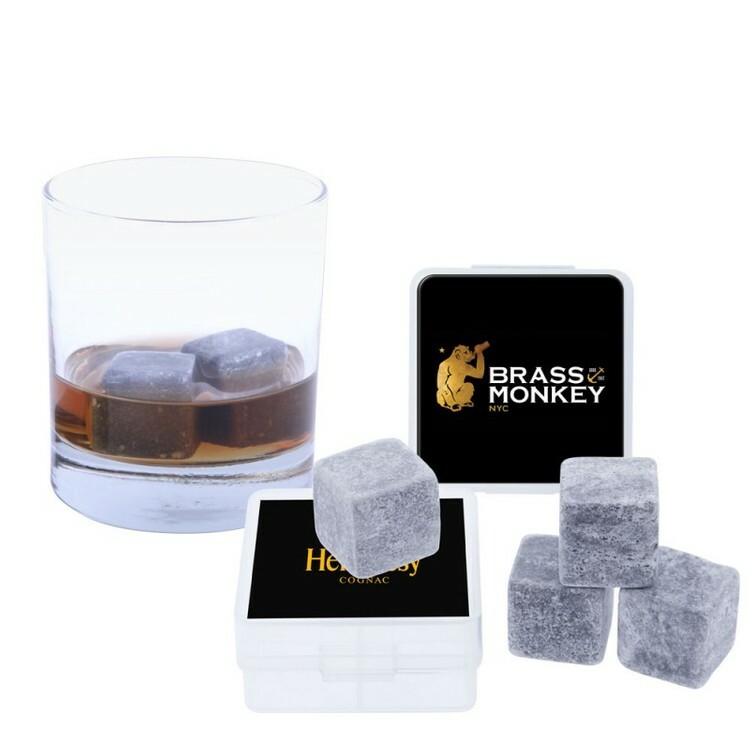 Whiskey stones chill your dram while maintaining both the purity and flavor profile of the liquor. To use, simply place 2 - 3 chilled stones in your favorite drink and enjoy! After use, rinse and air dry before placing back in the freezer. FDA approved and perfect for use in a variety of drinks.